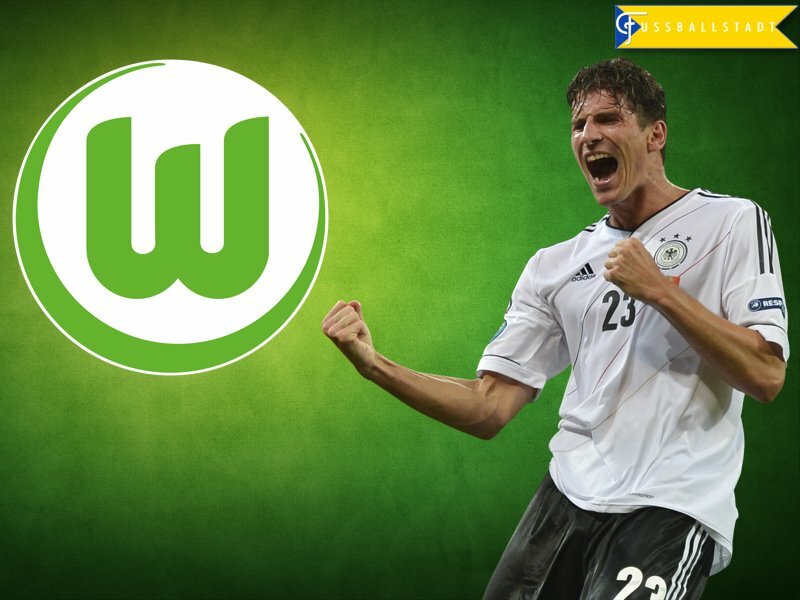 Mario Gomez has returned to the German Bundesliga. The Autostädter, as Wolfsburg is often called in Germany, have negotiated a €7 million deal with the Serie A club ACF Fiorentina for the 31-year-old German national team player. Gomez had already been seen as surplus at Fiorentina two seasons ago, and was, therefore, loaned out to the Turkish Süper Lig club, Beşiktaş Istanbul, for the 2015-16 season. In Turkey, however, Gomez resurrected his career when he became the league’s top scorer with 26 goals, and was then called up for Germany’s Euro 2016 squad. Despite having scored 29 goals in 68 national team appearances, Gomez always had a difficult relationship with fans of German football. The striker was considered too immobile, and his game too one-dimensional. Gomez simply didn’t fit in with the armada of dribbles and passing machines that Germany churns out these days. It, of course, needs to be said that Gomez scored the game-winning goal against Portugal. But Scholl’s criticism followed Gomez for years, and the striker was attached to an image that painted him as immobile, and unable to contribute to a team’s passing game. It was for this reason that Gomez was later considered surplus material at Bayern— Pep Guardiola didn’t deem Gomez capable of playing his tiki-taka style football. Gomez was, therefore, sold to Fiorentina in 2013. Then at Fiorentina, Gomez was plagued by injuries, and his career seemed to trickle out. Gomez missed the 2014 World Cup in Brazil, and was soon considered surplus material at Fiorentina, as well. Yet, the above-mentioned loan move to Beşiktaş resurrected a career that had seemed to be coming to an end. Then at the European Championships in France, Gomez was once again considered one of the key reasons for Germany’s failure to win a title. But, for the first time, Gomez could consider this as a compliment—the striker had to go off with an injury in the semi-final against Italy and, as a result, missed the semi-final against France. In fact, national team manager, Joachim Löw, has long favoured a system without a true striker but, at a tournament that was dominated by defensive systems, real strikers like Gomez, were suddenly back in style. Indeed, Gomez played a strong tournament in France, and most observers believe that Germany, which dominated France over 90 minutes without scoring a single goal, would have won the tournament had Gomez been in the line-up. Indeed, Gomez has now become the symbol of a renaissance that sees the resurrection of the number 9. A real strong physical striker, Gomez is 190cm tall, with an instinct for being at the right place, at the right time. Wolfsburg now hope that Gomez can do for them, the same that he has done for Germany and Beşiktaş, which is to guarantee goals on mass. But, for Wolfsburg, Gomez will have to do much more than just score goals. The Volkswagen owned club has, to some extent, suffered from a poor image. Wolfsburg’s midfielder Julian Draxler has recently stated that the best thing about the city is the short train ride to Berlin. With the club having failed to reach the Champions League this season, several players have voiced an interest in leaving the club. But even with Champions League football, Wolfsburg has struggled to retain their best players; following the successful 2014-15 campaign, for example, Kevin de Bruyne and Ivan Perišić left the club. Without Champions League football, sporting director, Klaus Allofs, and manager, Dieter Hecking, had the thankless task of convincing players to remain in Wolfsburg, and, at the same time, of rebuilding the team so that they could once again reach international football. Hence, Allofs decided to keep Draxler against his will, and to sell André Schürrle to Borussia Dortmund, and Max Kruse to Werder Bremen. The goal is now to build a team with players who truly identify with the city and the team—and Mario Gomez is considered an important building stone in this endeavour. The German magazine Der Spiegel called Mario Gomez a brand ambassador, who is considered capable of giving the club and, by extension, the club’s owner, Volkswagen, a positive image. VfL Wolfsburg is, to a large degree, a massive marketing vehicle for Volkswagen and, as brand ambassador, Gomez is now supposed to bring success back to the club and to help the company paint over its recent bad image caused by the emissions scandal. There are reasons to believe that this could actually work. First of all, Gomez guarantees goals. Actually, in the last ten years, no one has scored more goals in the Bundesliga than Mario Gomez—132 goals in 197 games. Gomez has scored more often than Bayern München’s wonder striker, Robert Lewandowski, who managed 121 goals in 194 games. But Gomez also brings more to the table than just goals. The striker has worked hard on his game and, during the Euros, demonstrated that he is now more than capable of playing combination football—in fact, Gomez appeared mobile, fast, and aware of his surroundings even in tight spaces. Indeed, it is those attributes that have put Gomez ahead of Wolfsburg’s Dutch striker Bas Dost, and it is now expected that Wolfsburg will sell Dost this summer, as the Dutchman has been outspoken about the fact that he wants to leave Wolfsburg. Wolfsburg seems to be willing to grant Dost his wish, for the Dutchman, despite his goal rate of 36 goals in 86 games, is deemed incapable of playing combination football at a fast pace. Furthermore, Dost seems never to have truly arrived in German football, and the striker seems to lack the charisma to become a genuine superstar in the Bundesliga. Charisma is the final attribute that makes Gomez an interesting signing at Wolfsburg. The striker not only knows how to score bucket loads of goals, but he also looks good doing so. Indeed, Gomez could have easily started a career as a model had he not made it as a footballer. While looks are not important in football, for a club like Wolfsburg, which wants to rebuild its image as a hip and forward thinking club, Gomez’s looks will be a perfect add-on for the club as a brand. Indeed, the first reactions in Germany indicate that Gomez’ arrival at Wolfsburg can be seen as a statement by both the club and Volkswagen. This statement seems to read: “We are still here, and even without Champions League football we are capable of attracting some of the best players in Germany.” Certainly, with Gomez, Wolfsburg has landed the best striker in Germany. FK Partizan Belgrade: A Season Lost?